Registration is FULL as of 5 DEC, but for those interested in learning about the goals of this trip, please continue reading: The VSO's April 1-10, 2017 birding trip to Guatemala still has openings. 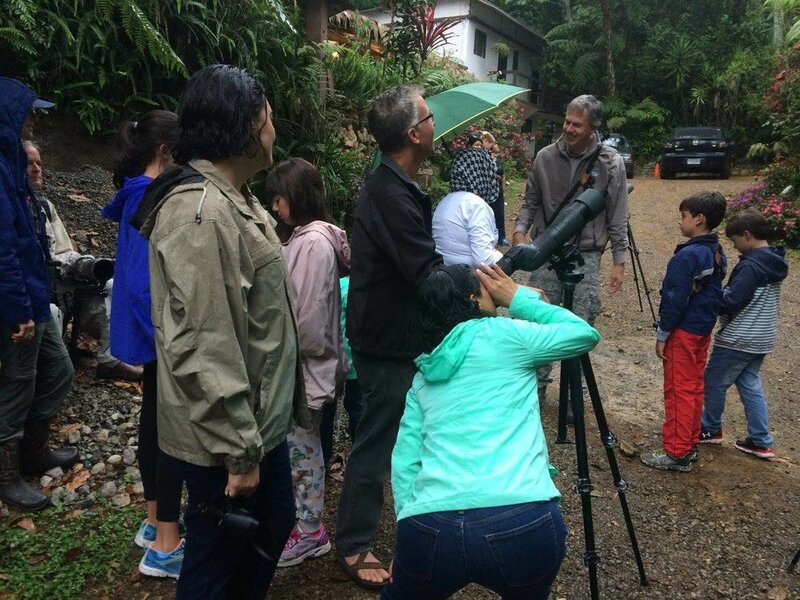 The trip will be guided by Guatemala's leading birding experts, John and Rob Cahill! Experience the spectacular convergence of North America's eastern and western breeding birds as they prepare for northward migration. Where else can you spot a Prothonotary Warbler and an Agami Heron in the same morning? How about a Townsend's and Golden-winged Warbler in the same TREE! Also on the itinerary are visits to Community Cloud Forest Conservation's Agroecology Center and fascinating Mayan archaeological sites (with more birding, of course!). Cost is $1,960 per person for double room occupancy, and $2,660 for singles. Price includes lodging, meals, ground transportation, guide services, and entrance fees to parks and reserves. For inquiries, contact Andrew Dolby by email: adolby[at]umw.edu or phone: 540-654-1420. CLICK THE IMAGE AT LEFT TO LOAD THE FULL PDF BROCHURE!